Road To Rio - What European teams can still qualify for the World Cup? Here’s the state of play in the nine groups ahead of the last two rounds of games. THE REPUBLIC OF Ireland’s chances of reaching Brazil next year may be extremely slim but there’s plenty other European countries whose qualification hopes are still alive before a massive week of action. The UEFA qualifying campaign for World Cup 2014 is set to conclude with the games pencilled in for this Friday and next Tuesday. And at the moment only Italy and the Netherlands have snapped up qualification places after topping Groups B and D respectively. They will be joined by the winners of the other seven groups as automatic qualifiers for next summer in Brazil while the eight runners-up with the best records will go forward to November’s play-offs. Belgium are in pole position here to reach their first major tournament since the 2002 World Cup. They are five points clear of Croatia and are guaranteed at least a play-off spot. The sides meet in Zagreb on Friday with Belgium needing only a point. If Croatia win, the race goes down to next Tuesday’s ties when Belgium are at home to Wales and Croatia travel to face Scotland. Italy have already booked their spot in next summer’s tournament after topping the group with victory over Czech Republic the last time out. Technically there are still four teams in contention for the playoff berth - Bulgaria (13), Denmark (12), Czech Republic (9) and Armenia (9). Yet it is likely to be a battle between the Bulgarians and the Danes. Bulgaria are away to Armenia on Friday and at home to the Czech Republic next Tuesday. Denmark are at home to Italy and Malta in their last two matches. Germany are in control here as they stand at the top and are five points clear of Sweden. They only need a draw at home to the Republic of Ireland – who can still mathematically qualify - on Friday before they travel to face Sweden next Tuesday. Austria are likely to be Sweden’s main rivals for the playoff berth as they are three points behind them. They have home ties remaining against Sweden and the Faroe Islands. The Netherlands have bagged top spot already as they are eight points clear of second-placed Hungary. The play-off spot is a three-way fight with Hungary on 14 points, just ahead of Turkey and Romania who are both on 13 points. In the remaining games, Hungary are away to the Netherlands and at home to Andorra. Turkey travel to Estonia and are at home to the Netherlands. While Romania travel to Andorra and then entertain Estonia. Nothing is yet decided in this group but Switzerland are in pole position on 18 points, five clear of Iceland. Then comes Slovenia (12), Norway (11) and Albania (10). Victory for Switzerland away to Albania on Friday will secure qualification before they are at home to Slovenia next Tuesday. Slovenia’s clash with Norway on Friday also looks a pivotal game while Iceland are at home to Cyprus on the same night. It looks like a battle between Russia on 18 points and Portugal on 17 points here. Israel on 12 points are still in contention but must defeat Portugal on Friday night. Russia are at home to Luxembourg on Friday and Azerbaijan next Tuesday. Portugal entertain Luxembourg next Tuesday on the same night that Israel take on Northern Ireland. There’s only two teams in contention here for the automatic and play-off spots with Bosnia-Herzegovina and Greece both on 19 points. The key difference is that Bosnia-Herzegovina have a superior goal difference by 15 goals. The Bosnians have never qualified for a major tournament but victories over Liechtenstein and Lithuania will see them make history. Greece are home to Slovakia and Liechtenstein in their last two games. Nothing has yet been decided in this group with England (16), Ukraine (15), Montenegro (15) and Poland (13) all still in the reckoning. England’s closing schedule sees them at home to both Montenegro and Poland in Wembley. Montenegro are at home to Moldova next Tuesday while Poland travel to meet Ukraine on Friday. Ukraine are away to San Marino next Tuesday but it is the game this Friday that will be crucial in this group. It’s a straight fight between Spain and France in this group with both teams currently on 14 points. But the advantage is with Spain as they have two games remaining, at home to Belarus on Friday night and at home to Georgia next Tuesday. France must hope they slip up at some stage and will look to win their final game at home to Finland next Tuesday. 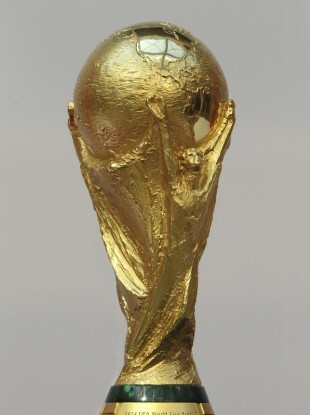 Email “Road To Rio - What European teams can still qualify for the World Cup?”. Feedback on “Road To Rio - What European teams can still qualify for the World Cup?”.